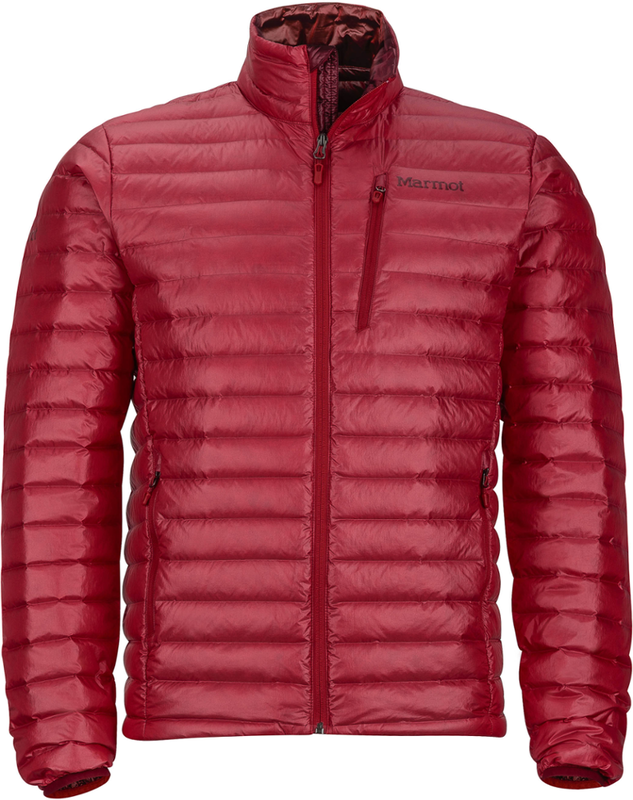 Best For: The Marmot Quasar Jacket is best as a lightweight mid or outer layering piece for climbers, ulralight backpackers, and skiers. 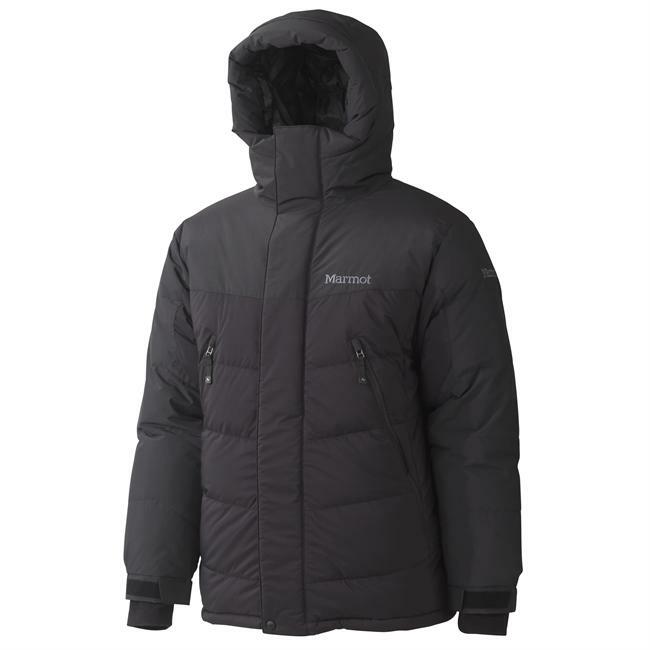 For warm insulation in a lightweight package, bring along the ultra-compact Marmot Quasar Jacket. 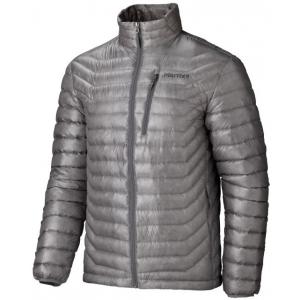 Weighing less than nine ounces, it's packed with 900-fill, certified goose down insulation to give you warmth in a small, compressible, lightweight size—no bulk. The Quasar’s shell is made from 10-denier Pertex Quantum nylon. The lightest down-proof fabric available, it will help keep all that insulation inside where it belongs. The micro ripstop fabric is windproof, featherweight, compressible, and abrasion-resistant to help prevent tears. 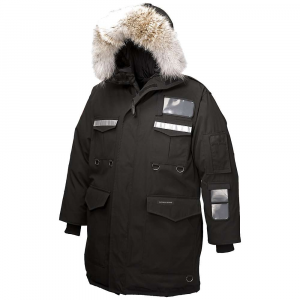 A DWR-treatment gives the shell added water resistance to repel light moisture. Stretch for that next climbing hold, reach for that next pole plant, or scramble up the trail. The Quasar Jacket promises to stay in place. Marmot’s Angel-Wing Movement cut allows for a full range of arm and shoulder motions without riding up, exposing your midsection or back to the elements, or restricting your movements. When things heat up, the lightweight (8.4 oz / 238.1 g) and warm Quasar compresses down inside its own zippered chest pocket to the size of a baseball. It also features two zippered hand pockets for access to small essentials and snacks on the go, elastic bound cuffs, and an adjustable elastic draw cord hem. 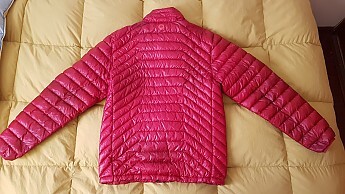 Warm and lightweight jacket, it has a good quality construction, durability, and the price is not high. Before starting this review I must mention I’m from Chile and my main language is Spanish, so feel free to correct my English and ask me for a better explanation if is necessary. 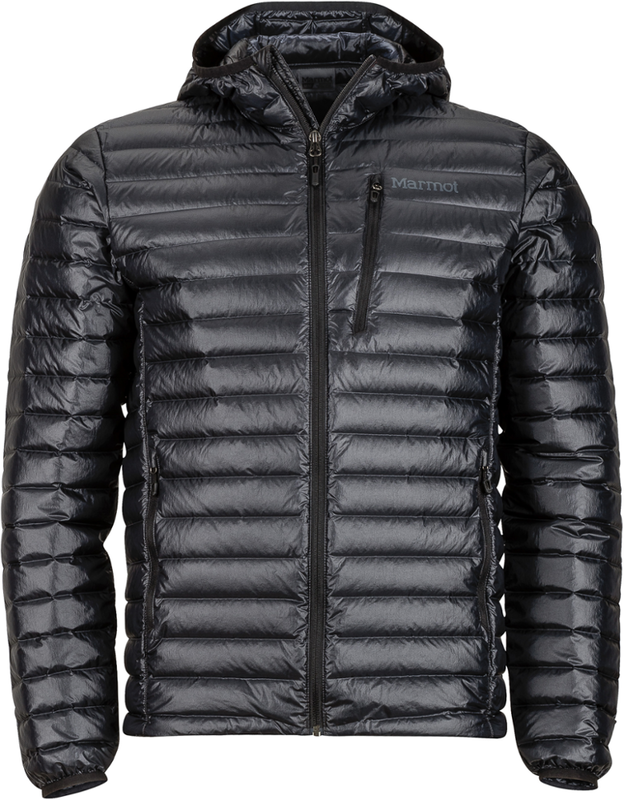 I bought this down jacket three years ago, so this is not the last version of the Marmot Quasar Jacket. Anyway I will compare both describing their pros and cons. 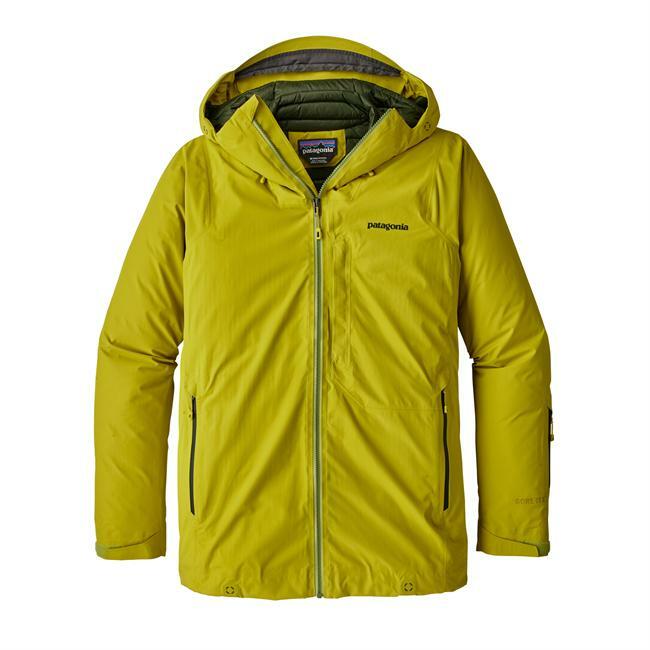 Fit: Included Marmot’s Angel-Wing Movement (technology that keep the jacket staying in place, allowing the user to move their shoulders and arms in a full range). Weight: It is lighter 8.4 oz. (238 grs). 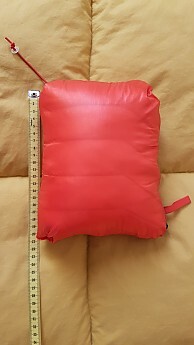 The shell probably has been improved, which is made with 10-denier Pertex Quantum nylon, known as one of the lightest down-proof fabric, also it has a DWR treatment from my version and a good abrasion resistance. Another feature that changed is the way to pack the jacket. My version packs down in the zippered right hand pocket and the new one is packed in the zippered chest pocket, probably thinner due to the 850 fill compression property. I’m not sure but I think it keeps the rest of the features like the regular fit, the same pockets, elastic non-adjustable cuffs on the sleeves, and an elastic adjustable cord at the hem. Fit: As I mentioned it has a regular fit. 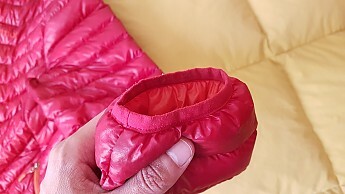 It will get a small form of “V” after adjusting the cord at the hem, staying near your body keeping you warm and permitting the use of one layer under this. In my case I usually wear a tee shirt or long sleeves under this jacket, which is enough for cold days considering an urban use. 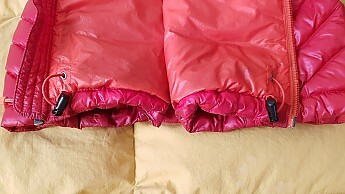 For camping and inactive situations in the mountain is possible to wear a fleece under this and it is not very thick, so is possible to wear a third layer. For people who like hooded jackets it has this version. 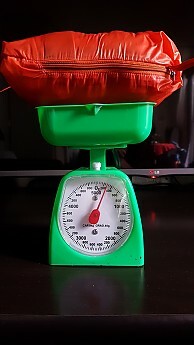 Construction & Durability: During those three years I have noted it has a good quality construction losing just a small part of the fill trough the nylon shell. I got a small hole at the end of the sleeve because someone put his cigarette there, but it is not related with the quality of the jacket. I have washed it once with Nikwax Down Wash. 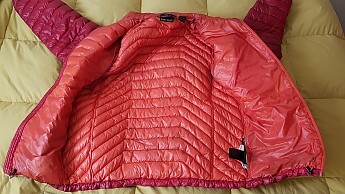 The jacket did not lose its properties and it is still puffy like the first day. Weight: I think this is one of their best features. The new version weighs just 8.4 oz. 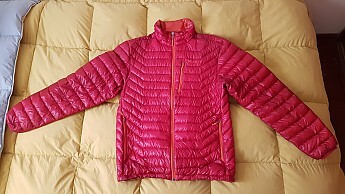 which is super lightweight considering the warmth that provides and if you want to compare it with other jackets it is lighter than most of them. In addition this packs down really small. Zippers: All of them comes from YKK and each one has a small zipper pull that makes it easier to use them while wearing gloves. 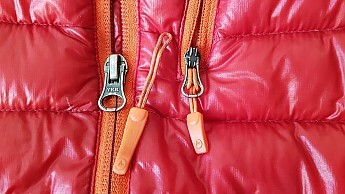 The main zipper is backed by a narrow draft-stopping strip. 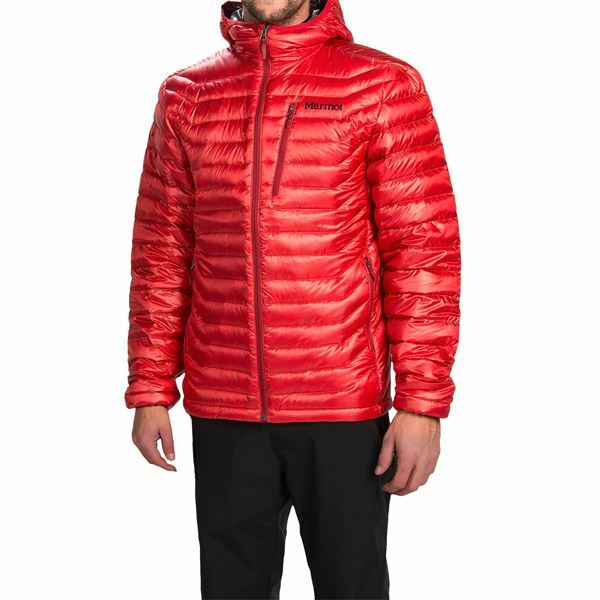 After describing the pros I will mention some cons of this jacket, but to be honest there is no one that I consider important, probably because I have had just one down jacket and I am not an expert in this field. I think this is the most important information about this jacket, I tried to do my best. Thanks for give me the possibility to participate in this amazing forum. Welcome to Trailspace, Ignacio! Thanks for sharing such a helpful first review and pictures with us. I hope you'll consider reviewing more of your outdoor gear. By the way, your English is far superior to any Spanish I've ever written. Nice job! Thanks for comment Alicia. Actually now I'm working in a new review. Excellent! I'll look forward to reading it, Ignacio.